It was already mid-morning. Anna Akhmatova, her whole being formed in Leningrad, lay dreaming in Tashkent. Against the pillow her profile was as sharp as a metallic image on a coin. She awoke with a jolt, her heart thumping loudly and out of rhythm. Her small, almost childlike hands threw off the faded pink blankets and reached for her pills. er hert clicked back into rhythm Too much vodka the night before with Faina Ranevskaya. As she sat up and cautiously rubbed her numb feet, she smiled think of Ranevskaya’s droll face: Charlie Chaplin, she called her. She was the most famous comic actress in Russia. Anna began to pull on an old gown of Chinese silk with a black dragon embroidered on the back. One of the seams was torn from under the arm to the knee, as it had been for months. But the air was warm against her skin. How much easier it is to be poor in a warm climate, she thought. Was it a sign? Anna was superstitious about dreams. She had come south on a train more than a year ago, from Chistopol in the frozen North, where the Writers’ Union had first evacuated her. Lydia Chukovskaya, a loyal friend from her Leningrad days, was with her; Anna always found people to look after her. And Lydia was a courageous woman – she had memorised the lyrics of Requiem when it was too dangerous to write them down – and a generous woman, too. She had spent hours standing in line for rations, or queuing to hand in parcels at Kresty Prison. Anna sighed. There had been a break between them. Lydia disapproved of her drinking so heavily. It was not sensible, with a bad heart. More than that, she disapproved of Ranevskaya, whom she found vulgar. Perhaps she was a little jealous. Anna shrugged. What will be will be. But the dream stayed with her. She must have been thinking about the poet Marina Tsvetaeva, the only woman Anna recognised as her equal. Tsvetaeva had hanged herself in Yelabuga, across the river Kama from the Writers’ Union headquarters in Chistopol. Anna had only met her once, not in the far North but in Moscow, just before the German invasion. By then, all of Tsvetaeva’s family were in the camps except for her son Georgiy, whom she adored. She had killed herself in Yelabuga, even so. Remembering it, Anna crossed herself. It was never good fortune to dream of death, still less a suicide. And her own son, Lev, was in the Gulag now – a brilliant boy who might have been a fine historian. She would not think of that, or of the words in his last letter, which had hurt her so much. His interrogators had jeered at him: ‘Your mother is so famous, she could get you released with a word, but she doesn’t care.’ How could he believe that? She had tried every trick to win his release. Didn’t he understand she was helpless? She shook the thoughts out of her head. One day he might forgive her. If they both lived long enough. Tashkent was a city of almond and apricot trees, markets piled with fruits, brown-skinned girls. Sometimes there was a majestic caravan of camels. In the dry heat, she had learned to value the shade of a tree as much as sunshine. She had lived her whole life in a city of sea and rain. Water had coloured all her poetry, water and ghosts. Now she lived among wide steppes in a Muslim world. That Tashkent was a Muslim city did not trouble her. Hadn’t she taken her pen name from an ancestor said to be a khan? She liked the ancient, alien customs. It did not displease her that she had a reputation for wisdom among Muslim women. She enjoyed it. But the dream. What did that presage? It was Ranevskaya, her drinking companion of the night before. Anna cheered up whenever she approached. Even in Tashkent, the children called catchphrases after her. She had lit Anna’s stove when it died the previous winter. Stole the wood for it, too. Today she brought fresh aromatic peaches … and something else, held behind her back. Ranevskaya gave her a letter, and Anna looked at it without seizing it. It was from Garshin, her lover in Leningrad, whose wife had died in the streets. It was not what she was waiting for. He wrote so often she knew what he would say. ‘Later’, said Anna, throwing it on the bed. The pure oval of her face was serene. Her heart was back in rhythm. Anna swung her legs off the bed. She had once been as slim and supple as a ballerina. Now that body, which had once been so pliable she could bring her feet to her head, was thicker – though still beautiful, even now. ‘He comes through Tashkent on the way to Samarkand. I have promised to see him at the railway station.’ Her tender lips sipped the hot tea. Tashkent had many poetry readings. It was a literary centre for evacuated writers. But the one that night was different, because Anna knew the Poles would be at the reading. A group of Polish officers had been released from a Soviet prison, where they had found themselves after resisting the Soviet pact with Hitler. They were proud, reckless men who had once ridden horses against tanks. Now the German invasion made them allies. One in particular was handsome, and very young. His eyes had met hers in the audience a week ago while he was boldly translating Polish poetry ex tempore. His voice was warm and caressing. She had smiled at him, and watched as he enquired about her from a Russian friend. Tonight she would read only for him. She felt as happy as anyone could be, whose son was in a camp. She read as she always had: simply, in a great deep voice, trusting the remembered words, looking straight at him. His eyes were dark. She felt as though they were alone together in a glass bubble as she read. And he came up to her afterwards, as she guessed he would, knowing her name now. She received his admiration like a queen, with a little irony in her voice and tenderness in her smile. He was so very handsome, and seemed unexpectedly shy. ‘Where do you live?’ he asked her. ‘In the house of Bulgakov’s widow,’ she told him. ‘May I walk you home?’ he asked. The huge sky was dark blue, and as wide as the steppe. They were silent under the stars, the night aroma of flowers in the warm air. ‘No longer,’ she said, with perfect serenity. Their feet knocked out quiet sounds in the warm air. As they walked, she thought: this is what I have been missing. Something in Asia has spied out my true self. He stopped, and for a moment they stared upward. ‘The starlight is blue here’, he said. They were not touching, but she felt electricity between them. Would he take her in his arms? She wanted to explain everything to him: about Lev in the camps, about her sad, rackety life, about her long years forbidden to publish. They walked on until they reached her house, and at the door he took her hand and kissed it. ‘What a beauty you must have been once,’ he said, softly. Without giving him the opportunity to say more, she opened the door and went in. The boy stood for a while at her door, and she stood on the other side, listening until she could hear his feet moving away. Anna lit a candle. She did not look in the mirror. With steely dignity, she accepted the limit of his admiration. He was very young. But she was not unloved. She would marry Garshin, who would take her under his protection. The bottle of vodka stood by the unmade bed. As she approached it, she made out a letter on the blankets. Another letter. Ranevskaya must have brought it in. She recognised the spiky handwriting immediately. It was a letter from Lev. She hesitated to open it, her face suddenly pinched with anxiety. Sometimes Lev wrote as though she were the whole cause of his troubles. As though she did not care about him. As though she had not kissed the boots of anyone she could find who might secure his release. So she hesitated, feeling that if Lev had written bitterly again it might really be easier to die than carry on. As she opened the letter, her whole body was trembling. She could hardly read the lines. His address had changed. He was no longer in the camp. He was being sent to the Front to fight. He had eaten well for the first time in years. She began to laugh with delight. The rejection that had seemed so painful a few moments ago was now of absolutely no importance. She climbed into her bed like a child, and fell asleep almost at once. The fear engendered by yesterday’s dream had dispersed. The snub had broken its spell. She no longer had any sense of having witch-like powers that could tell the future. Alas, nor indeed did she. This article forms part of a double feature on Anna Akhmatova. The first part looks at Anna Akhmatova’s life in exile. The second part, published here, imagines that life from Akhmatova’s point of view. 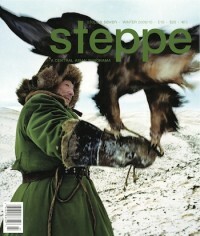 More available when you buy Steppe 7. Elaine Feinstein is an award-winning poet, novelist and biographer. She was made a Fellow of the Royal Society of Literature in 1980, and her work has been translated into many languages. 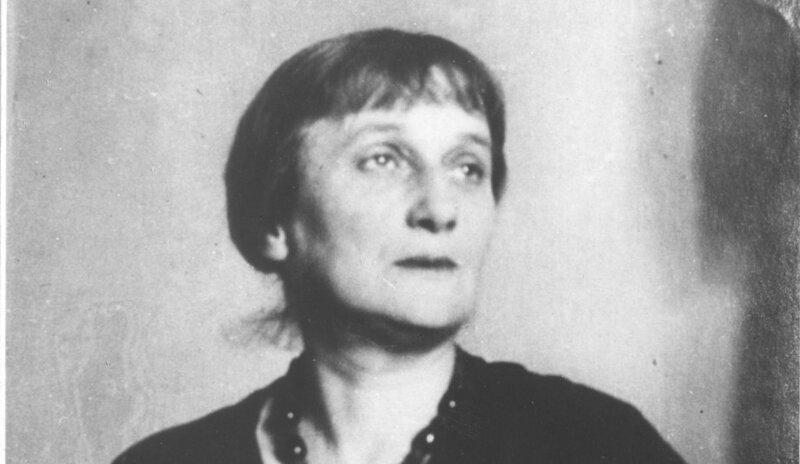 She is the author of highly praised lives of Pushkin and Ted Hughes, as well as of Anna of all the Russias: The Life of Anna Akhmatova (Weidenfeld and Nicolson, 2005).